THE Gupta family company, Oakbay Resources and Energy (Oakbay), said it was “considering its options” following notice from the Johannesburg Stock Exchange (JSE) that it may suspend trade in the company for failing listing provisions. Oakbay announced on June 13 that its transfer secretary, Terbium Financial Services, was to end its contract. This was only weeks after River Group, the firm’s sponsor, had also decided to terminate its services with the company. A sponsor and transfer secretary are mandatory appointments in order to win and retain a listing on the JSE and “… play an integral part in the JSE’s regulatory and supervisory structure,” the company said. In addition, the resignation of the firm’s independent non-executive director, Mark Pamensky, in May had also compromised the composition of various committee’s within the company, including its audit committee, it said. 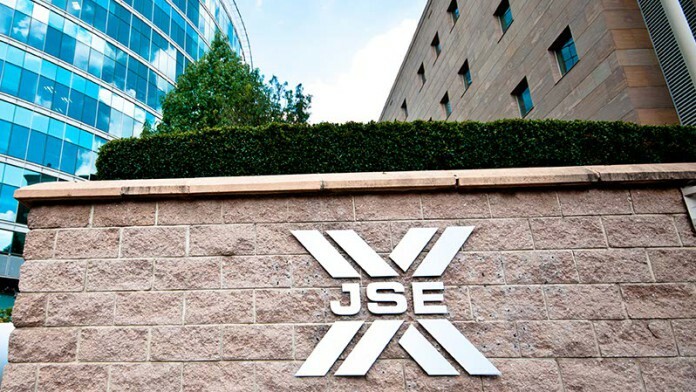 “Shareholders are further advised that, as a result of the above, the company has also received notice that the JSE is considering suspending the trading in the company’s shares,” said Oakbay. “Shareholders are therefore advised that the company is considering various alternatives available to it, and accordingly, shareholders are advised to exercise caution when dealing in the company’s securities,” it added. Shares in Oakbay have fallen to R5.80 a share from R23/share a year ago. The company is also in financial trouble, according to its full-year results published in June in which there was uncertainty about its ability to continue as a going concern. Cash and cash equivalents totalled R2.7m as of February 28 compared to R225m at the same point in the previous financial year owing to production losses and the repayment of a loan to Bank of Baroda. “Management draws attention to the fact that, as at the date of this report, the current liabilities exceed the current assets by R15.9m and despite the continued losses management is confident that based on their assessment and the turnaround strategy implemented the group will remain a going concern,” it said in comments to its financial statement. On June 30, some R37.5m is due to the Industrial Development Corporation, the state-owned banking institution, as part of a R123.7m loan. A further installment of R37.5m is due on March 31, 2018. Since February 28, the company has forwarded R48.8m which represents the shortfall in its rehabilitation fund. Ajay and Atul Gupta, major shareholders in Oakbay and close personal friends of President Jacob Zuma, may be subpoenaed to appear before a Parliamentary hearing into the governance of Eskom, the government-owned electricity utility. According to a report by audting firm, PwC, which will be considered by the Portfolio Committee on Public Enterprises, Oakbay’s Brakfontein mine supplied below specification coal to Eskom. Former Eskom CEO, Brian Molefe, denied this had occurred, but it appears the coal mine is having operational problems. Oakbay said in its year-end review that the lack of reliability and efficiency of the mine’s opencast equipment affected planned production. “Management is focusing on how to address these issues with stoppages due to labour unrest having been successfully resolved in the second half of the year,” it said. Previous articleWill BHP and others pay for ditching progressive dividends? How low are the JSE’s compliance hurdles? No sponsor, no transfer secretary, no independent non-executive director, politically exposed persons and allegations of corruption and still only considering whether to suspend trade.